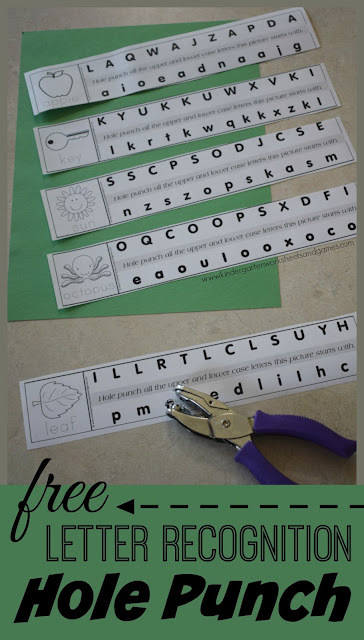 Kids are going to love this fun, hands on letter recognition activity! 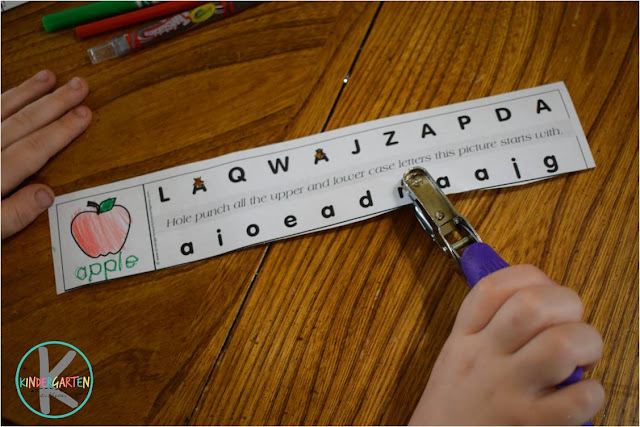 Alphabet Hole Punching is a low prep alphabet activity that uses a hole punch to mark letters while strengthening fine motor skills. All you need is to print the FREE black and white printable (below). 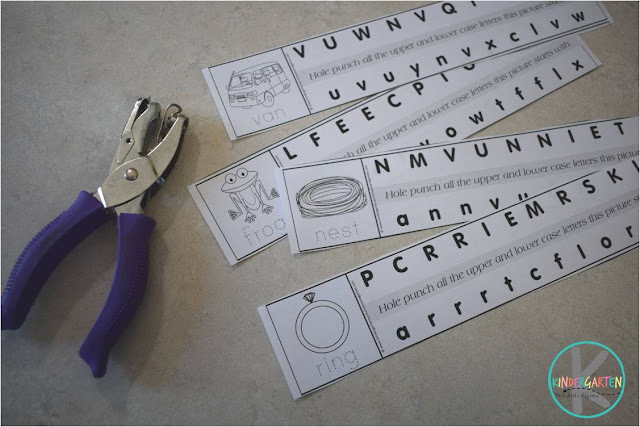 Then cut the alphabet printable into strips. Set out the alphabet strips, crayons, and a whole punch. Give your student a strip at a time. They will identify the picture, trace the word, and identify the beginning letter sound.